As you can see, I am continuing my celebration of simplicity. The inspiration to go back to Tish Boyle came about when one of the readers here tried out the Luxe Pound Cake recently and was raving about how good it was. I had baked it once and eaten it once. I remember I did a little dance when I took my first test bite.... the rest was a distant memory among the many recipes I had played with last year.... Going back to Tish Boyle's The Cake Book, I contemplated among a few different pound cake recipe. In the end, I decided to go with the most basic and the aptly named, Plainly Perfect Pound Cake. No one can have one too many basic pound cake recipe. A good pound cake is like the Vanilla ice cream of the butter cake world. Rich and buttery, this can become the basis of more lavish and tasty embellishments that take the partaking of it to new levels of savouring joy. I love the fine crumb texture of this cake and the fact that I can smell it from a mile away when I was baking it. Instead of the traditional pound cake mould, I had deliberately chosen to bake it in a slim rectangular baking tin so that I can cut them up in tiny slices to be nibbled on like a snack - a perfect presentation for the upcoming Chinese New Year where treats are best served in small finger food sizes. If you find the Kueh Lapis too challenging and time consuming to make for the coming festival, I suggest you consider this recipe as it is easy to whip up and is ... as the name claims, Plainly Perfect! 2. Sift flour with baking powder and salt and set aside. 3. Cream butter in a mixer at medium high speed until creamy (about 2 mins). Add sugar gradually and continue beating for 4 mins until light and fluffy. 4. Reduce the mixing speed of the mixer to low and add eggs one at a time mixing until well mixed. 5. Add the citrus zest and vanilla extract. 6. Add flour mixture in 3 additions, alternating it with cream (added in 2 additions). I can never say no to a good old pound cake. I like them light with fine crumbs just like the one you have here and perfectly brown too. I am bookmarking it to try out soon. delicious, I love a simple pound cake with a fresh berry compote and a little cream as the ultimate afternoon tea time treat! Oh my, look at those lovely golden hue and that fine crumbs. I was looking for a pound cake recipe and my oh my, Shirley, you're definitely my kitchen angle hehe I'll gv your TB plainly perfect pound cake a try. Tq for sharing Shirley! OMG. 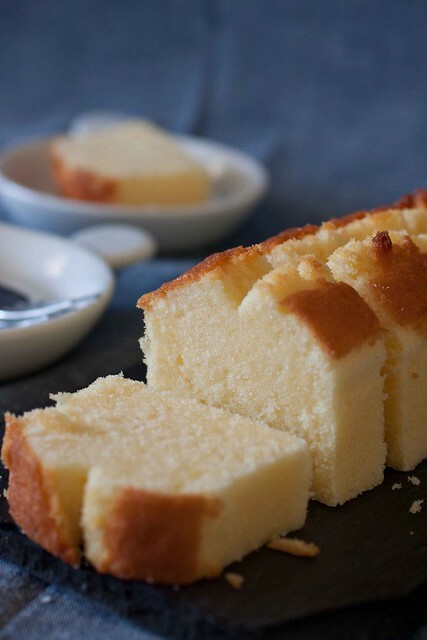 This butter cake looks perfect! After looking through its ingredients, i think what sets it apart from the usual is the heavy cream. No wonder it looks almost cheese cake (souffle) like! I love the texture of this cake. It looks so fine and good. Am book-marking this. Nice photos too. Shirley, what sort of heavy cream did you use? 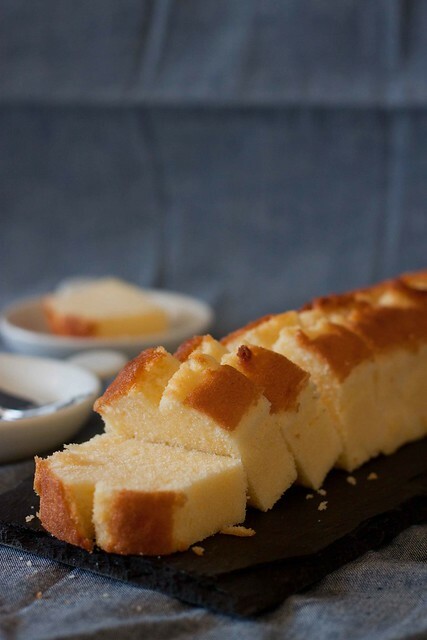 A good pound cake may be simple but it's also one of life's most delicious treasure. I am SO making this. @YummyBakes- I just used normal fresh cream(pouring whipping cream). If you can get the plastic bottled heavy cream by Bulla, I think it will taste even more awesome. I love pound cake, sure this is indeed the best of the best pound cake ever. Funny enough, I am not a fan of pound cakes due to the buttery taste. However, I can see that the zesty flavours will go well! It will be perfect for a tea party or high tea with some friends. Oh wow! I love the fine colour and the crumbs. How did you get a yellow bottom and not a brown botton? I would like to have that! Is it the Bulla thickened cream? I saw this at NTUC. Thanks, Shirley. I would do a little dance if my buttercake can look like this! Going to try this soon! I love moist yet light crumbed cakes whether chiffon or pound. Would you recommend a recipe for a pound cake that is the closest to my liking? 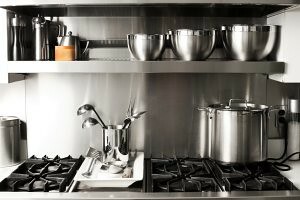 You have so many great recipes that it's hard for me to compare and choose. Thanks! Jane : I lined the pan with baking paper and the temperature takes care of the rest, I guess. I knew it looked perfect even before I read the title! Can't wait to try it! Shirley, oh, you also has a slim pound cake tin huh, i like mine too. 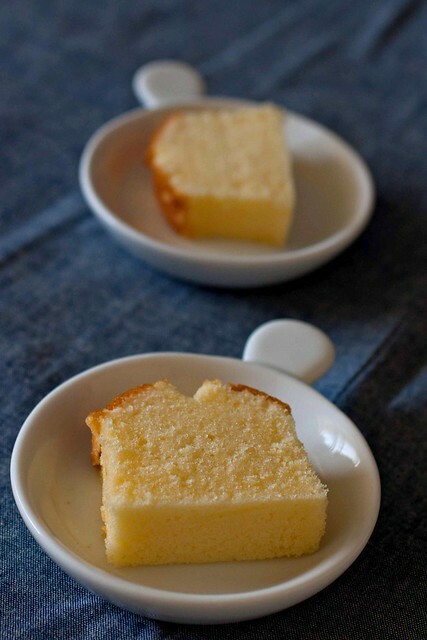 I love this kind of simple and plain butter cake. Your pound cake texture look so fine and neat, well done! I still have some leftover heavy cream, look like i can use to bake this cake. This spectacular pound cake would be delightful with fresh berries and kiwi. What am enticing recipe! So moist , with just the perfect color... perfect pound cake !!! Look at that crumbs! I am MAKING this! 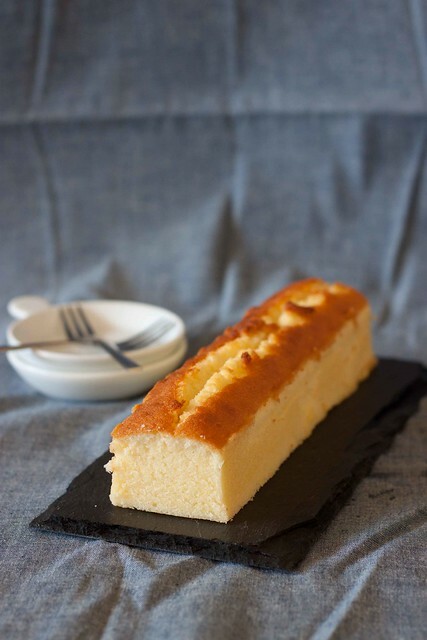 The pound cake looks absolutely beautiful and your photographs make it look even more inviting. Pinning the recipe! Thanks for sharing! Pound cake is my all time fav! Tks for sharing dear! Wow, the crumbs are so fine! what a beautiful pound cake!! So simple yet so mouth-watering! :) gorgeous texture! @kewpie: So happy to hear that you liked this :) Tish Boyle's recipes are very reliable. Do you think I can bake this Pound Cake using a Bundt pan instead of 3"x7" mould? I loves to use Bundt pan. What is castor sugar? And we dont use grams in the US so what conversion would this be to cup etc. @Anonymous : Hi. Castor sugar is actually very fine sugar. It is almost always used for baking. 1 cup of castor sugar would be about 225g. I am putting in the volumetric equivalent for your reference. Hi shirley, i tried making the cake today. However, when i took the cake out of the pan, i was in shock! there was a pool of oil left behind, and the cake was dripping in oil. I used exactly 227g of butter after measuring in elec scale. Should i reduce the amount of butter? or is there something to do with the creaming process? i did exactly 2mins and 4 mins!